Schuyler Fisk is a songwriter and singer and actor. Her debut album The Good Stuff debuted on Billboard’s Heatseekers Chart and at #1 on the iTunes Singer/Songwriter Chart. 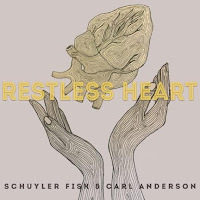 Schuyler has since released a sophomore record Blue Ribbon Winner, a Christmas record Sounds of the Holiday and an LP under her side-project band's moniker, FM RADIO, called Out of the Blue. Her active grassroots following has garnered her hundreds of thousands of monthly Spotify subscribers and over 7 million plays on individual songs. She has toured North America, Europe, and Japan with artists including Sheryl Crow and Tori Amos. She’s been very active in writing and recording for film and tv projects, as her music has been featured on soundtracks such as The Last Kiss, Safe Haven, Dear John, Hart of Dixie, and Ugly Betty. As an actress, Schuyler has appeared in several films and television shows, including Orange County, I’m Reed Fish, Law & Order: SVU, Gus Van Sant's Restless and The Best of Me. Schuyler is currently working on her next solo record and has a handful of acting projects set for release this year. She is currently touring with Carl Anderson and Sam Wilson. If they are playing in a city near you I highly recommend checking them out. Here is the interview... I hope you enjoy it.